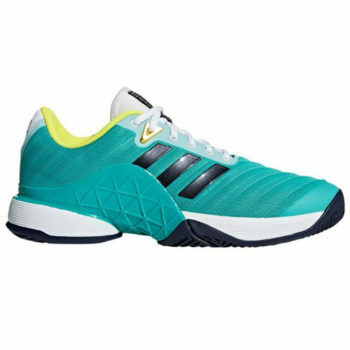 These men’s tennis shoes are built to deliver the level of performance demanded by professionals. They have a seamless upper that flexes with your foot and Geofit padding for a comfortable fit. A Barricade chassis adds stability in the midfoot while providing support for every twist and lunge.